The idea that your garbage says a lot about you is by no means new. Archaeologists have always known that the refuse of civilizations past provide invaluable insight into their day to day lives, and modern day researchers apply that to their studies of contemporary urban life. Others have observed that if you want to know what someone is really like you should just ask their garbageman. So why wouldn’t a police state hell bent on eviscerating all privacy just deputize the garbagemen to become deep state spies? 007s of the dump, as it were? The surprising answer is that they don’t have to be deputized. 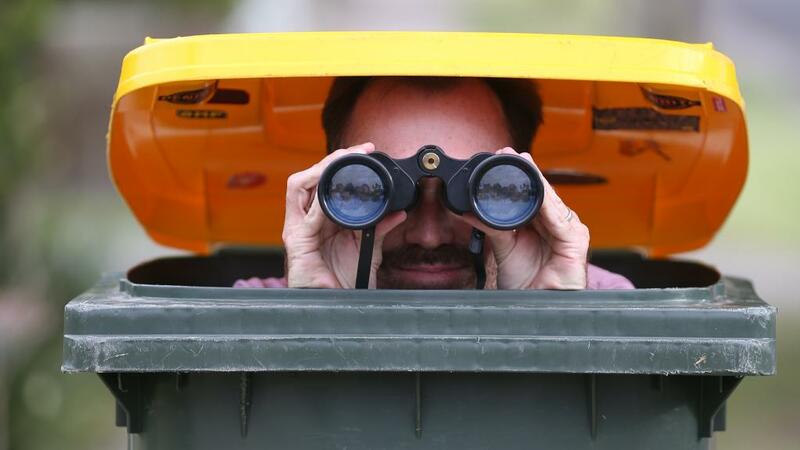 In fact, in case you didn’t know, prosecutors have been arguing for decades that you have no right to expectation of privacy in your trash, and no special license, permit, warrant or secret agent badge is required to rummage through someone’s rubbish. This was established in memorable fashion in Portland in 2002 when the Willamette Week reported on the curious case of Gina Hoesly. She was the Portland Police Bureau officer who was a victim of a garbage raid in the 1990s…at the hands of her fellow officers. The story is as crazy as it sounds (and worth the read), but the long story short is that the local D.A., police chief and mayor all became vocal defenders of the practice of raiding the garbage of anyone under investigation for anything—a practice that had been going on for a very long time. So you’d think they would have been happy when the dedicated Willamette Week reporters dug through their trash to prove a point…but you’d be wrong. Consider the case of communist China, always the test case for any NWO social experiment or police state test. 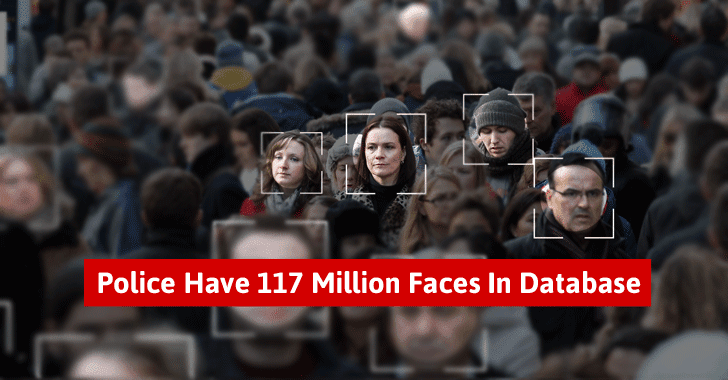 In this case, they are at the forefront of implementing a facial recognition camera network that, they brag, will be able to match any one of the country’s 1.3 billion citizens to their ID photo within seconds. Think it’s all just empty boasting? The Big Brother Corporation (better known as the BBC) played a little game with China’s CCTV network: How long could their reporter stay hidden on the streets of Guiyan before being caught by the city’s facial recognition cameras and apprehended by the police? This one sounds like straight-up science fiction, but sadly—like so many other once-outlandish ideas—it’s fast becoming mundane reality: Mind-reading computers will one day ensure that even your privatest of private thoughts will no longer be so private…If the helpful technocratic servants of the police state have their way, anyway. As you’ll recall, I chose the story of the “AI body language-reading courtroom lie detector” as my technocratic story of 2017 not because I believe the tech actually works, but precisely because I think this is a PR roll-out to condition the public to accept that whatever these “mind-reading” police state gadgets tell us is The Holy Truth, just like the old-fashioned lie detectors and hair analysis and fingerprint comparisons were The Holy Truth for investigators of yore (until they were exposed as a pack of lies, that is). 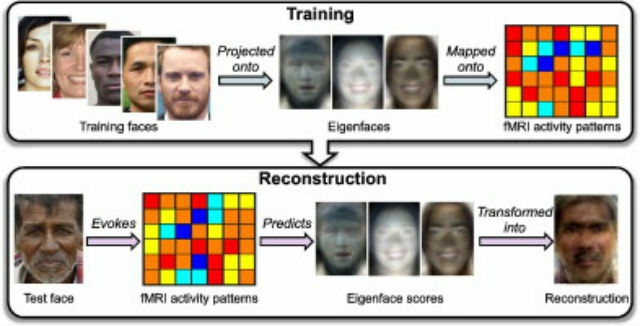 The image reconstructions were followed in short order by person-to-person “mind messaging” via digital brain connection. And then machines that could decode and process what someone was looking at in real time. And then computers that could translate thoughts into words. And now, as one particularly chipper Big Tech PR site tells us, we are right on the cusp of commerically-available mind reading technology. We already know all of this, of course. We all know on some level that all of our credit card purchases and debit card purchases are being stored and sold to creepy third parties that are building psychographic profiles on us, and snarfed up by the intelligence agencies. But for some reason this doesn’t seem to concern people. Perhaps they didn’t see Enemy of the State. If people need any elaboration why complete financial surveillance in the hands of a would-be dictator should be concerning, they need look no further than the Total Information Awareness program launched by DARPA’s “Information Awareness Office” in 2003. Created under the smokescreen of the war of terror and run by convicted Iran-Contra criminal John Poindexter, the program was described as “the biggest surveillance program in the history of the United States” (at that time, anyway). It was intended to compile, in the words of William Safire, “Every purchase you make with a credit card, every magazine subscription you buy and medical prescription you fill, every Web site you visit and e-mail you send or receive, every academic grade you receive, every bank deposit you make, every trip you book and every event you attend” in a “virtual, centralized grand database.” In other words, the holy grail of privacy invasions. But don’t worry. At least the totally scrapped and super seriously no-longer-operative Information Awareness Office didn’t have some creepy official logo, right? I mean, can you imagine if an actual, unbelievably creepy Orwell-on-steroids DARPA program like the IAO had some over-the-top logo, like an Eye of Horus irradiating the entire earth or something. I mean, that would be outrageous, right? But surely there’s a line in the sand here somewhere, right? Privacy of garbage? Privacy of location? Privacy of thought? At some point, people have to start to realize that what they are giving up is not just their privacy but their humanity. I mean, even former Google CEO Eric Schmidt admitted there was a “creepy line” that Google wouldn’t dare to cross. Thank you for explaining things and bringing this point to light. As you know, anything that is done in the energy world as computers and surveillance, can be done by us in spirit. And this article puts a few more cherry bombs under me to go spiritual. Thanks!